Most people visit places associated with miracles and spirituality on a trip to the Holy Land. 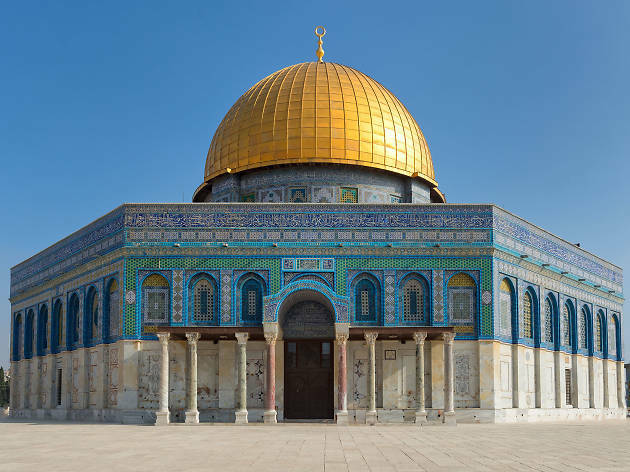 Regardless of your own faith, this list presents the ten most beautiful religious sites which you can visit on your next trip to Israel and Palestine. 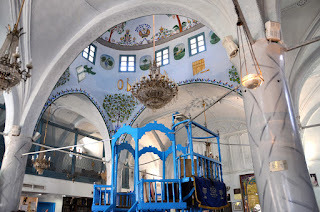 The small town in the Galilee, which in English has almost as many spellings as residents, boasts one of the oldest established Jewish populations in the region and some of its most beautiful synagogues. 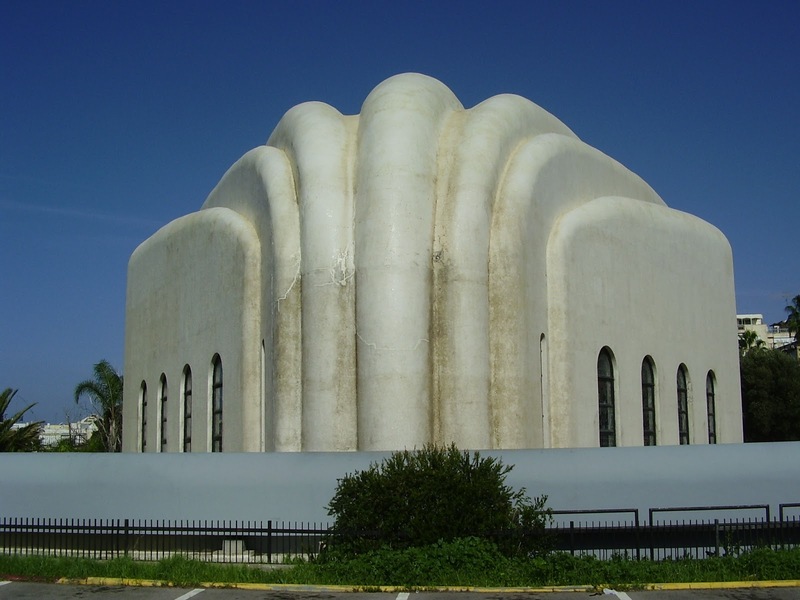 Our pick of the bunch is the Abuhav Synagogue. It was founded by Rabbi Isaac Aboab after the expulsion of Jews from Spain (in 1492) and Portugal (in 1499), and is in the typical Sephardic style. Although badly damaged by an earthquake in 1837, its beautiful dome was rebuilt and it features some stunning Arks containing torah scrolls. You can see this building with us on a private tour which we can organise to include any number of other nearby sites in Safed, the Golan Heights or the Upper Galilee. Of all the churches associated with the ministry of Jesus Christ around the Sea of Galilee, this little chapel is the most beautiful. Constructed in 2014, it is the newest building on the list but ancient remains of mosaics and a synagogue are also present on the site. Marble, glass and broad views of the lake give it a light, airy and open feeling. It also features an unusual boat-shaped alter which refers to Magdala's importance as a fishing port in Christ's era, a time when it was also supposedly the home of Mary Magdalene. The way the building is perfectly integrated with the natural environment earns it ninth spot. You can see this building with us on our Nazareth and Galilee tour. 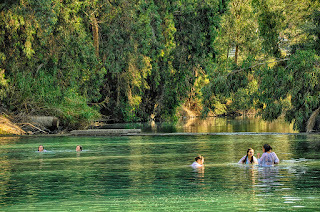 One of the most important parts of the story of Jesus was his symbolic rebirth by John the Baptist in the Jordan River. There are several competing locations in Israel, Palestine and Jordan for this event, and while all have their own beauty the 'Yardenit' site is undoubtedly the most picturesque. 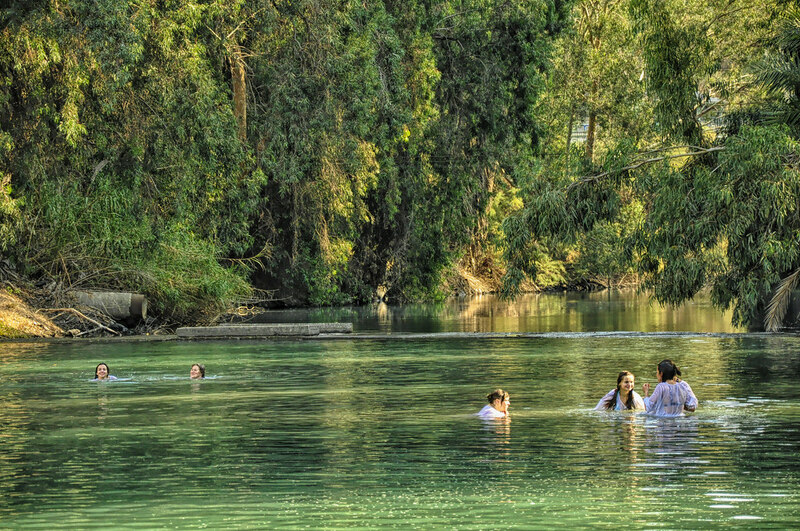 The Lower Jordan has been neglected for decades and since the Israel National Water Carrier began diverting water from the Sea of Galilee to the rest of the country in 1953, only sewage and occasional rain water have made it as far as the river's southern baptismal sites. The Yardenit on the other hand, remains relatively unspoiled and baptisms take place amidst lush greenery and the slowly meandering Jordan. This site has almost no historic connection to the likely location of Christ's baptism, but this list rewards beauty not accuracy! You can visit the Yardenit on our Nazareth and Galilee tour. 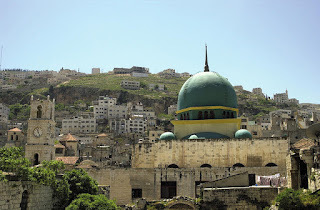 Nablus is a bustling place with several beautiful mosques crammed into its old city. But right in the heart of the kasbah stands the city's central square and the An-Nasr Mosque. 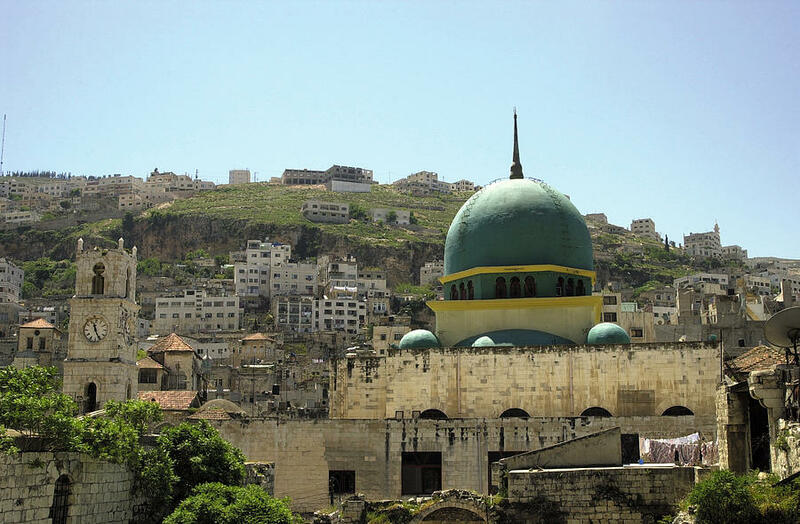 Its most striking feature is its green dome, which means the colour of Islam is easily spotted across the rooftops of Nablus. Originally a Byzantine Church, then a Crusader Cathedral, then a Mamluk mosque destroyed in a 1935 earthquake, the keen eye can still observe architecture from each of these styles today. Opposite the mosque is the Ottoman sayara (Governor's residence and inn) and clock tower which has recently been restored. You can see these sites on both our Nablus tour and our Nablus and Jenin tour. This one may surprise many of you, but this building has thoroughly earned its place on our list. Instinctively, it may seem like there are more than enough religions competing in the Holy Land already, but the Scientologists have also joined the priests, rabbis and imams here and made this former theatre in Jaffa their Middle East headquarters. Originally known as 'The Alhambra', the well-loved theatre was built in the art deco style popular in the late 1920s and early 1930s. Clean, simple lines were a break from the ostentatious styles which preceded it and buildings like this represented class and modernity to people in Jaffa. It was used by a bank until 2008 when it was purchased by the Scientologists who fully restored it, finally opening to the public in 2012. You can see this building with us on our walking tour of Tel Aviv and Jaffa. For most of the past 2000 years, synagogues the world over were built by Jews who were the minority in the places they lived. Therefore religious architecture typically reflected this status and synagogues tended to blend in with surrounding buildings and are not usually known for their elaborate designs. In modern day Israel this has changed somewhat and this bold, proudly striking synagogue certainly stands out! It was built in 1980 with donations from the Recanti family, Jews from Thessaloniki, and its design is supposed to mimic a seashell, like the ones typically found on the shores of the Greek city. The heavy concrete material is made to feel light by the graceful curves, while the facade and interior are decorated with elegant mosaics and stained glass. From every angle you look at it, this weird and wonderful building has a totally different appearance so it really needs to be seen in person. You can do with us, on our brand new Tel Aviv bike tour, which will be launched this summer! Ask here for details. We simply couldn't decide between these three beauties and because they are admittedly all quite similar in appearance, we combined them for our 4th place. 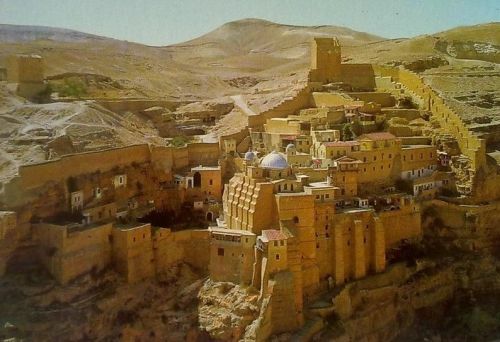 All three began between the third and fourth centuries, when hermit monks living in caves in the desert began expanding their homes and eventually carved huge complexes into the stone. Today it is almost impossible to tell where the buildings begin and the rocks end, and the way they precariously cling to the cliffs is quite an incredible site. Perhaps most remarkable of all is that all three remain monasteries to this day. You can see them on our Bethlehem tour, our Wadi Qelt tour and our Jericho tour respectively. Many visitors who gaze at Jerusalem's Mount of Olives see this building and ask tour guides, "what is THAT?". 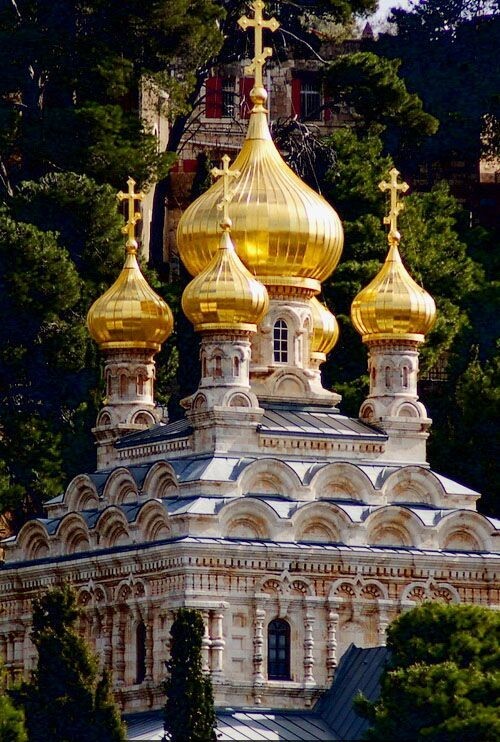 To stand out in a city like Jerusalem is quite an accomplishment, and this Russian Orthodox church certainly does just that. Consecrated in 1888 by the Tsar of Russia himself, Alexander III, it is dedicated in honour of his mother who was also named Mary. Its distinctive onion domes are covered in gold leaf and on a sunny day it seems to radiate light over the Garden of Gethsamane below. This is where Christ is said to have spent his final nights before his eventual betrayal, also here, by Judas. The icons and nuns in the Church of Mary Magdalene make visitors feel like they are in Moscow (even in the heat of the Jerusalem summer!) 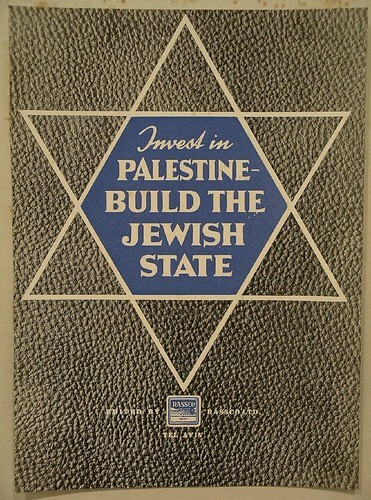 and it is a glorious part of the tapestry of Jerusalem. It is best admired from afar, on many of our Jerusalem tours, but if you want to enter it can be done only on Tuesday and Thursday mornings. While here, combine it with a visit to the elegant Dominus Flevit Chapel, the ancient Jewish cemetery on the Mount of Olives, or the All Nations Church, which are all nearby. The history, beauty and spiritual significance of this small shrine make it one of humanity's greatest treasures. It was built in 690 CE by the fifth Umayyad caliph, Abd al-Malik, and is one of the world's oldest Islamic structures. It stands over the foundation stone, which many in the Abrahamic faiths believe to be the spot where God created the Earth. Jews believe this is also the rock where Abraham almost sacrificed his son, and it is here that the First and Second Jewish Temples were built. Muslims believe that this is where Mohammad travelled on his night journey from Mecca, and he ascended to heaven to converse with God from the same rock, now under the dome. The structure today is octagonal and covered in graceful blue mosaics which contrast magnificently with the golden dome. Islam forbids the reproduction of animal or human forms, as no artist could match the perfection of God's work, so the structure is covered in calligraphy and geometric patterns typical of Islamic art. Since the visit of Ariel Sharon to the surrounding area and the outbreak of the Second Intifada in 2000, non-Muslims cannot enter the building. However, everyone can admire it from several viewpoints all around the city, on any of our Jerusalem tours. What could possibly out rank this masterpiece for pure beauty? 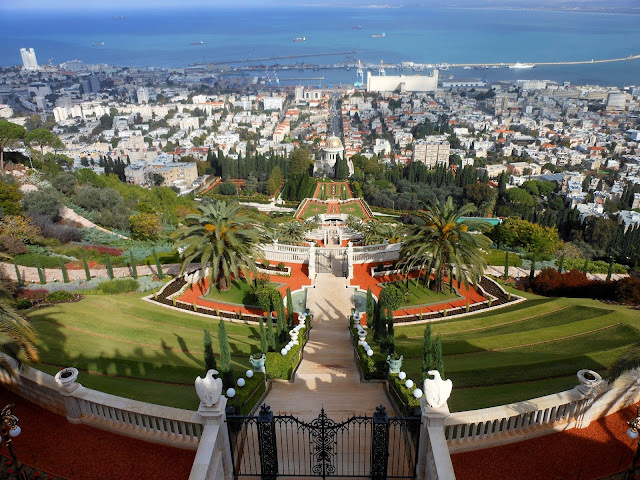 If you were surprised to see this place in our number one spot, you must not have visited Haifa before! 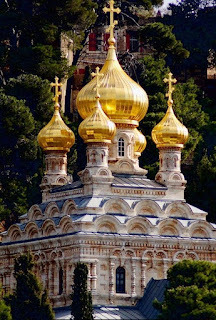 In our view, the garden running up the side of the Carmel Mountain in the northern city of Haifa, is the single most beautiful religious site in the region. The tomb of the founder of the Bahá'í faith, the Báb, is in the middle of 18 terraces, representing the first followers of the religion. Born in modern-day Iran, he claimed to be the gateway (Báb) to a promised prophetic leader who would soon reveal himself. 25 years after the execution of the Bab, one of his followers named Bahá'u'lláh claimed to be this prophet and created the Bahá'í faith as we know it today. The religion claims all prophets, from Mohammad, to Jesus, to Buddha, are all prophets of the same, one true God and it preaches the universality of human kind. Seen as a religious and political threat, Bahá'u'lláh was exiled all over the Middle East and eventually to nearby Acre (Akko). It was from his prison here that he arranged the transfer of the remains of the Báb to the hillside which he could see on the opposite side of the bay. Following the construction of the tomb came the gardens and the Bahá'í World Centre, making this complex today the centre of Bahá'í pilgrimage, study and administration worldwide. There are today as many as 8 million Bahá'í spread across the globe who believe a seemingly simple creed of tolerance, peace and unity. The gardens are impeccably manicured, and trees, statues, urns and fountains climb a kilometre up the sunny slopes. The views from the top of the Mediterranean stretch all the way to Lebanon and are well worth a journey. The Bahá'í are prohibited from accepting money from outside the faith so instead offer short, free tours, in several languages, throughout the day. We can also arrange private tours here as there is so much to see in Haifa and Acre nearby! We hope you enjoyed our list! Disagree with the order? Did we leave something out? Let us know in the comments below. Love to visit these beautiful places.